Yasuaki Mori joined Infineon Technologies Japan K.K. as President in November 2000 and is a member of the executive management group. Before joining Infineon, he moved to Japan in 1997 and became the head of sales & marketing for Advanced Micro Devices Japan. Prior to this he was based in Europe and the US in various positions including business development, marketing, lobbying and strategy. 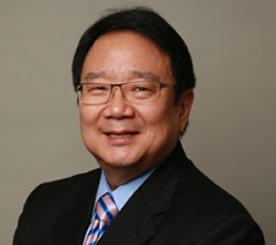 Born in Canada, raised in Switzerland, Yasuaki Mori earned a Bachelor of Science in Electrical Engineering with specialization in digital communications in 1983 and a Masters in International Affairs in 1984 from Columbia University in New York City. He is fluent in English, Japanese and French and also speaks German. He is member of the Association of Japanese Corporate Executives (Keizai Doyoukai), German Chamber of Commerce, American Chamber of Commerce and ACCJ Growth Strategy Task Force where he contributed to policy papers for the Japanese government. Yasuaki Mori is a Swiss Board member and a Trustee of GAFFI, UK.